TANDAG CITY, Surigao del Sur, Feb. 2 (PIA) – Tandag City Mayor Roxanne Pimentel has suspended today classes in all levels due to heavy rains. The secretary also indicated that the same information had already come out in the advisory early today issued by the City Disaster Risk Reduction and Management Office (CDRRMO) headed by Vitchie Bandoy. “Moderate to strong winds blowing from the northeast will prevail over the archipelago with moderate rough seas,” it continued. Through SF01 Rogelio Secarro, chief operations officer of the said office headed by F/Insp. Rowella Dinolan, acting provincial fire marshal, the report showed a total of 41 fire incidents during the preceding year. At least one fire incident has been recorded in a month while the most was at nine. The report was broken down as follows: November and December had one apiece; September had a record-high of nine, followed by October at six. Notably, in March, which is known as “Fire Prevention month,” only three fire incidents have been posted. The rest of the months also bore these data in ascending order: two in January, February, and April; three in both months of May (and March); then, four in June, July, and August, respectively. Moreover, the costliest incident during the year was estimated at P19 million when Andres Soriano College in Mangagoy, Bislig City had been gutted by fire on July 19. TANDAG CITY, Surigao del Sur, Feb. 2 (PIA) – The provincial government of Surigao del Sur has suspended work this afternoon due to bad weather. 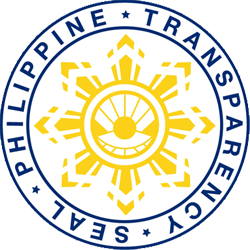 Efren Rivas, provincial administrator, said Governor Johnny Pimentel made the “verbal declaration” but assured an official form in writing to this effect is going to follow. However, the provincial administrator admitted to have decided to stay put in order to attend to the needs of people who might be coming over to the capitol for transactions. For her part, Monalisa Cañedo-Su, secretary to the Sangguniang Panlalawigan, did the same, despite knowing the declared work suspension, citing schedule of committee meeting. 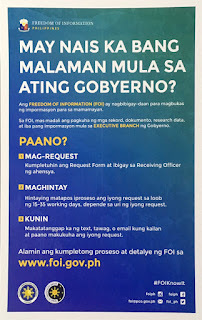 Tumong sa maong panagtigom ang paghatag og pasidungog sa mga Local Government Units (LGUs) sa tibuok rehiyon sa Caraga gikan sa Agusan del Norte, Agusan del Sur, Surigao del Norte, Surigao del Sur, Dinagat Islands, lakip na sa mga Municipal Health Officers (MHO), nurses, midwives, Barangay Health Workers, health program coordinators, mga pribadong hospital ug uban pa alang sa ilang kooperasyon ug suporta nga gihatag sa tanang programa ug mga aktibidad sa maong departamento. “This is to evaluate how far have we gone in assessing how we did in our localities concerning the health programs of the Department of Health. To all the awardees, keep up the good work and to those who didn’t make it, may this be an encouragement to do better next time,” matod pa ni Provincial Board Member Rey G. Jamboy sa iyang mensahe isip representante ni Gobernador Ma. Angelica Rosedell M. Amante – Matba sa maong aktibidad. Nakadaog sa 2nd Place sa Measles, Rubella, Oral Polio Vaccine (MROPV) Regionwide ug 5th Place Nationwide si Gobernador Amante – Matba ug si Dr. Elizabeth N. Campado – PHO II; si Ms. Fortunata Surdilla – Atega, ang Expanded Program of Immunization (EPI) Provincial Coordinator, gipasidunggan og Exemplary Award with P40,000.00 cash prize isip 2nd Place sa Highest MROPV Mass Immunization (Provincial level); Ms. Fladelita dela Peña, ang focal person sa Provincial HIV Council, adunay Recognition for HIV Surveillance Officer; Ms. Brenda Tampus, ang Provincial Rabies Coordinator, sa Sustained Performance to National Rabies Prevention and Control Program; Engr. Bernardita Tener ug Ms. Aludy Nangcas sa Support on National Search for Barangay with Best Sanitation Practices (NSBBSP); Ms. Jacqueline Galan alang sa Non-Communicable Diseases Program; Mr. Pastor Naldoza sa Leprosy Prime Movers, Dr. Reginald Dompor, Provincial Disaster Risk Reduction Management Officer (PDRRMO) Award ug ang Agusan del Norte Provincial Hospital (ADNPH) isip Disease Reporting Unit Awardee. Aduna usa’y nadawat nga pasidungog ang mga mayor sa 10 ka mga munisipalidad ug 1 ka syudad sa probinsya uban ang ilang mga City / Municipal Health Officers, health workers ug mga program coordinators.